“Dying is easy,” intones Peter O’Toole’s Shakespearean drunk Alan Swann after he’s booked to do a live variety show from New York in My Favorite Year. “Comedy is hard.” Maybe that’s why so many veterans of another live variety show from New York—Saturday Night Live—have tried their hands at drama. 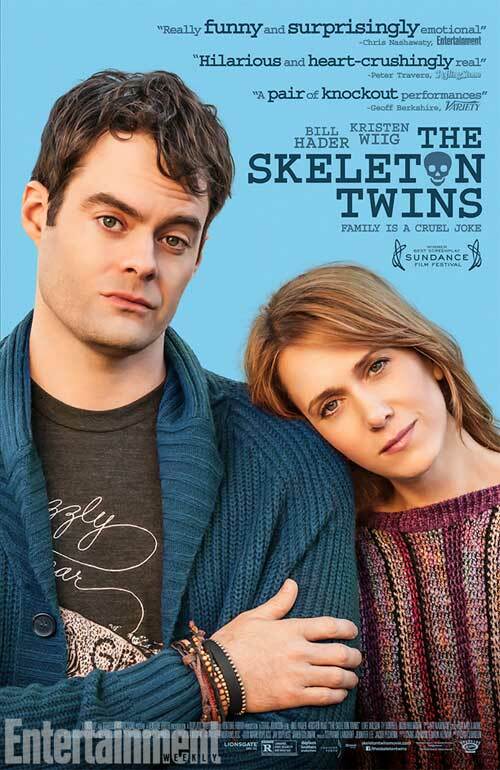 The latest, Bill Hader, co-stars in a pair of serious movies opening on the same day, September 12: The Skeleton Twins (opposite fellow SNL alum Kristen Wiig) and The Disappearance of Eleanor Rigby: Them. One week later, former “Weekend Update” anchor Tina Fey tries a dark brand of dramedy as one of five siblings sitting shiva for their dead father in This Is Where I Leave You. But they’re far from the first ex-30 Rock-ers to try to make us cry, instead of just weep with laughter. Let’s look back at the track record. BILL MURRAY He was the first, and best, SNL-er to play it straight-faced, but he had to agree to do Ghostbusters before Columbia Pictures would allow him to do his first drama, 1984’s The Razor’s Edge. His performance as a World War I veteran who goes on a spiritual journey got cut to shreds by critics, and the film was a box-office flop. But Murray didn’t give up. He earned better reviews as a mobster opposite Robert De Niro in 1993’s Mad Dog and Glory, then found a director perfectly in tune with his seriocomic style in Wes Anderson. Murray should’ve gotten an Oscar nomination for his sardonic turn as a wealthy, manic-depressive Vietnam vet in Rushmore and went on to work with him again several more times. He finally did snag an Oscar nod as an alienated movie star in Lost in Translation and has given award-worthy performances since in roles as varied as an undertaker who agrees to bury Robert Duvall in Get Low and FDR in Hyde Park on Hudson. Word is he may finally win a statuette for his upcoming turn as a misanthropic war veteran in St. Vincent. If so, it will be long overdue, and one can only hope he will give Oscar a noogie. DAN AYKROYD The first SNL-er to actually earn an Oscar nomination was Murray’s fellow Ghostbuster, for his wry work as Jessica Tandy’s flustered son, Boolie, in Driving Miss Daisy. He followed it up with straightforward roles as silent-film mogul Mack Sennett in Richard Attenborough’s Chaplin, a Victorian gentleman in Terence Davies’ The House of Mirth and a World War II captain in Michael Bay’s Pearl Harbor. And he gave his most fully realized performances in years as showbiz managers in Steven Soderbergh’s Liberace biopic Behind the Candleabra and the new James Brown movie Get On Up. Elwood Blues would be proud. JIM BELUSHI Jim—or James, as he’s sometimes billed when he wants to be taken seriously—has proven to be a much more skilled dramatic actor than he has ever been a comedian (and that’s According to Bruce). He made a promising big-screen debut as a criminal in Michael Mann’s Thief, held his own alongside James Woods as drugged-out journalists in Oliver Stone’s Salvador, and stole Roman Polanski’s The Ghost Writer as a chrome-domed man of letters. 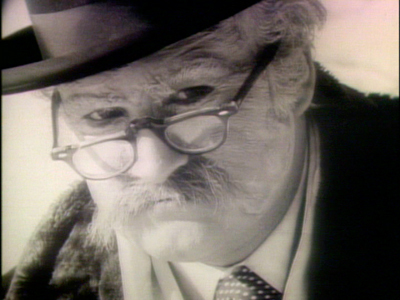 Had he lived, big brother John Belushi could’ve been an even more amazing dramatic actor—just watch his eerie performance as an elderly version of himself in the haunting SNL short “Don’t Look Back in Anger,” when he literally dances on his castmates’ graves. EDDIE MURPHY We may never know how great of a dramatic actor the dazzlingly talented Eddie can be, since he’s frustratingly refused to build on his powerful performance as soulman James “Thunder” Early in Dreamgirls (maybe because he lost the best supporting actor Oscar race that year to Little Miss Sunshine‘s Alan Arkin). He’s long been rumored to star in a film adaptation of August Wilson’s Fences, but now he’s aged out of the son role and into the father, which Denzel Washington won a Tony for playing on Broadway (as did James Earl Jones before him), so it seems doubtful now that will ever happen. Guess we’ll just have to settle for his unintentionally laughless vehicles like Norbit and A Thousand Words. WILL FERRELL and WILL FORTE These soundalike cast members (and former faux George W. Bushes) have migrated from dumbbell comedies like Anchorman and MacGruber to semi-serious films like Stranger Than Fiction and Nebraska. So far, dramatic acting seems more to be Forte’s, um, forte, than Ferrell’s. In addition to his award-caliber work supporting Bruce Dern as his befuddled son in Alexander Payne’s Nebraska, he was also touching as an American doctor who falls in love with an Irishwoman in Run & Jump and an adulterer who’s carrying a torch for a kidnapping victim (Jennifer Aniston) in the new Elmore Leonard dramedy Life of Crime. Ferrell, on the other hand, hasn’t been able to liven up glum dramas like Winter Passing and Everything Must Go. Perhaps he needs to come up with a new career strategery. Of course, other SNL sketch artists have taken stabs at drama, from two-time Oscar nominee Robert Downey, Jr. to Damages Emmy winner Martin Short and even Jane Curtin, who adds deadpan comic relief as the coroner on CBS’ Unforgettable. And let us not forget Mike Myers’ impressively groovy gig as discotheque co-owner Steve Rubell in 54 or Chevy Chase’s guest shot as a drunken, anti-Semitic movie star (whose name could’ve rhymed with Shmel Shmibson) on Law & Order. For once, he was not Chevy Chase. Now that’s acting.